We've been using HistaEze by Designs for Health for well over a year for seasonal allergy relief. It works really well, without side effects. I have nothing but great things to say about HistaEze by Designs For Health. I take 2 capsuls 3 times a day. It has helped my with current skin problems. I am bothered with post-nasal drip. 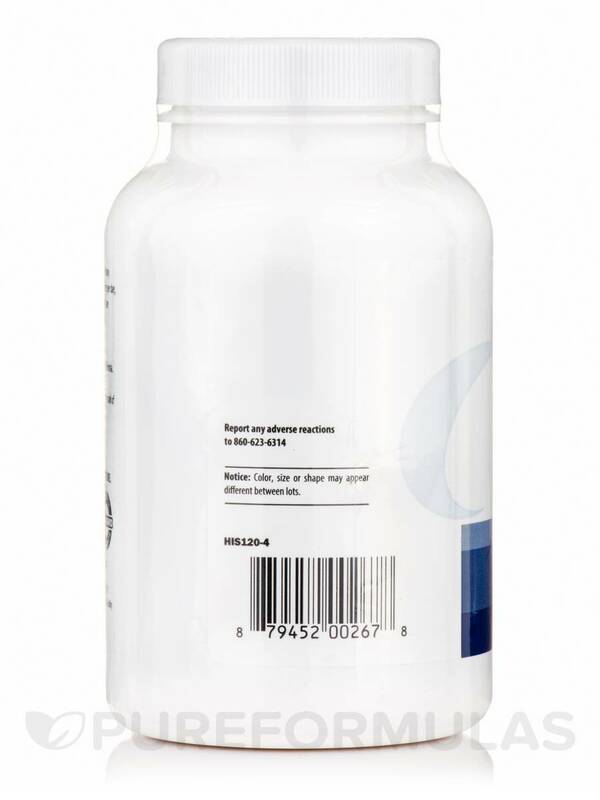 I am taking two capsules of HistaEze by Designs for Health. One in the AM & another in the PM keeps it under control & makes for pleasant breathing. HistaEze™ is a synergistic blend of nutrients that provides natural support to help balance the immune response during allergy season. It features Tinofend®‚ a patented and clinically researched extract derived from the plant Tinospora cordifolia‚ which has been shown to regulate key immune mediators and support the activity of macrophages. 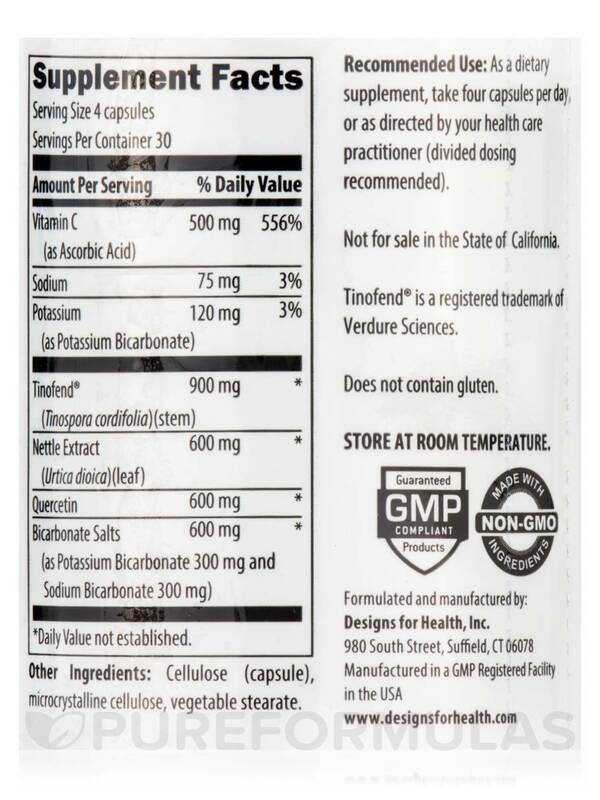 Tinofend® supports the immune response by promoting a balance of phagocytic white blood cells and eosinophils. 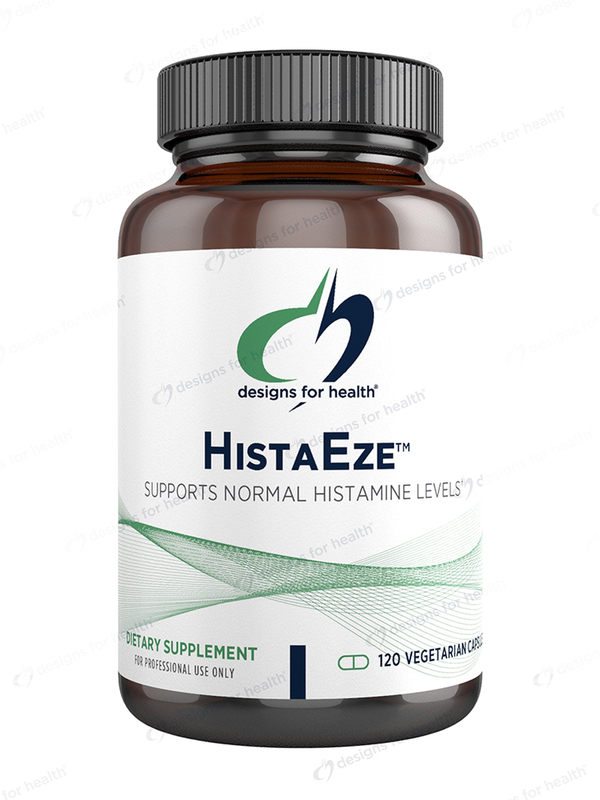 HistaEze™ also contains quercetin‚ nettle leaf and vitamin C‚ all of which have long histories of use in helping to support immune balance during the allergy season. 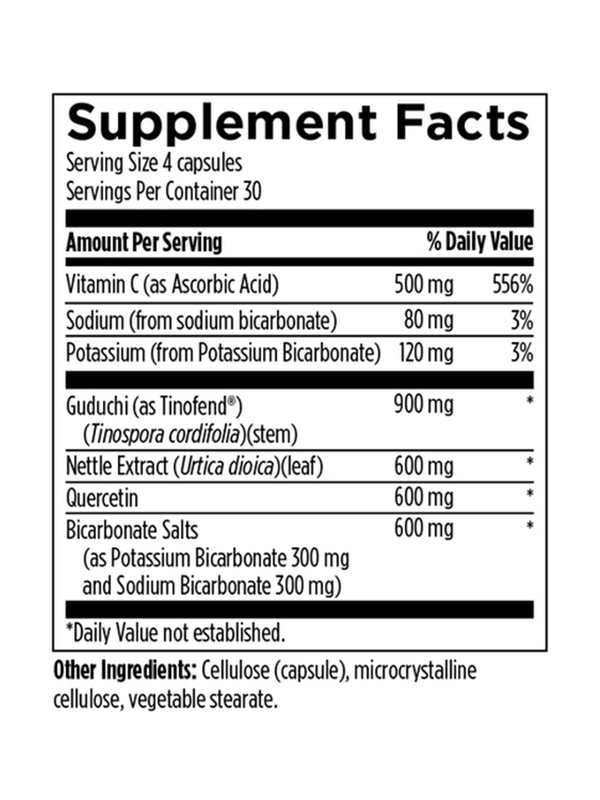 Additionally‚ bicarbonate salts are included for their role in maintaining normal histamine metabolism. As a dietary supplement‚ take four capsules per day‚ or as directed by your healthcare practitioner (divided dosing recommended). Easy to use & it works. No side effects; no over-dryness; no sleepiness. Nothing to dislike about it. HistaEze by Designs for Health was recommended to me by my wellness doctor to relieve my seasonal allergy symptoms, and it really works! Although the label says to take 4 capsules per day, I took half that and it was enough to help me.Having said that, I recommended this product to a friend, and she had to take all 4 capsules per day to alleviate her runny nose, sneezing, itchy throat, and watery eyes; but once again, it worked! It removed by allergy symptoms. Ive found this helpful and easy to take whenever my allergies are active. Works better than Claritin d.
HistaEze is really great! I suffer really bad from seasonal allergies. I will just sneeze for a hour straight no lie. Histaeze eliminates all symptoms. You will not be disappointed when purchasing.